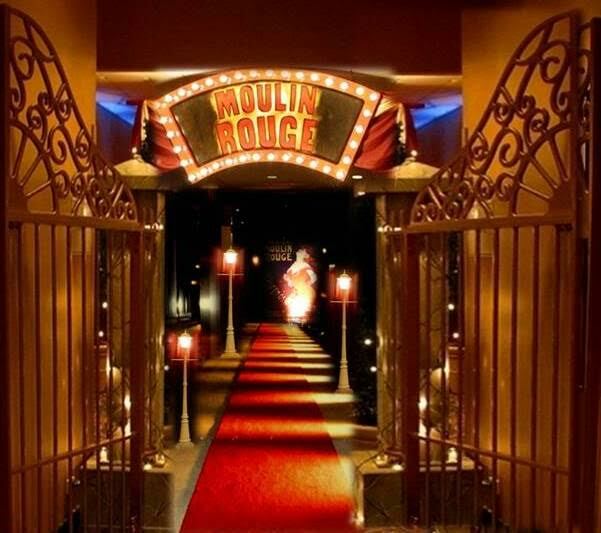 Guests begin with a stroll down the streets of Paris past old style street lamps and budlit plants before making their way onto the red carpet and through the golden gates. 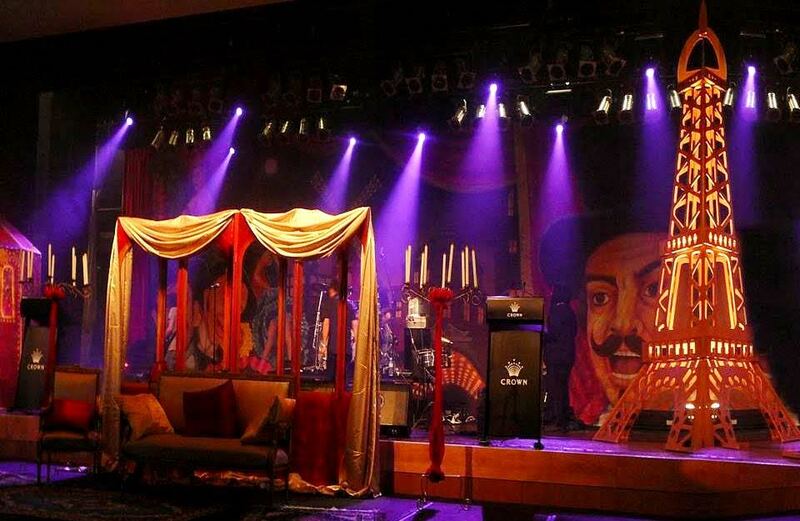 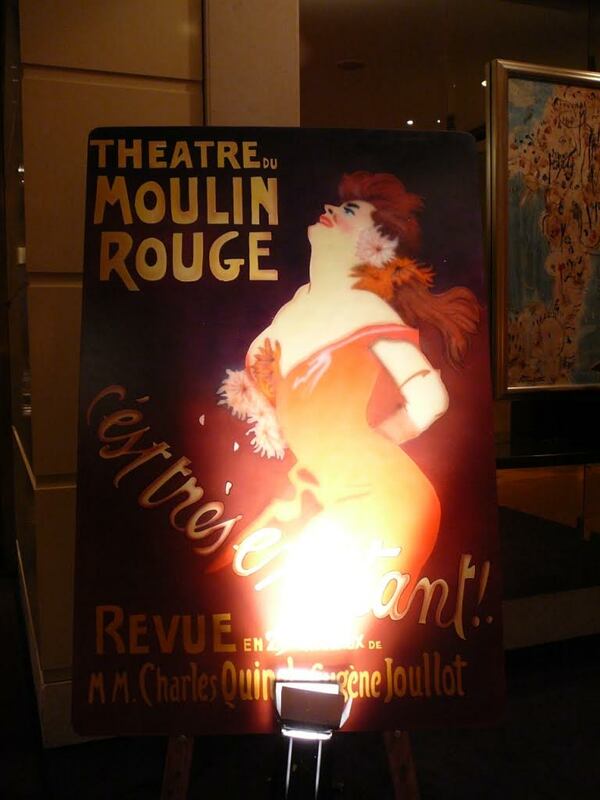 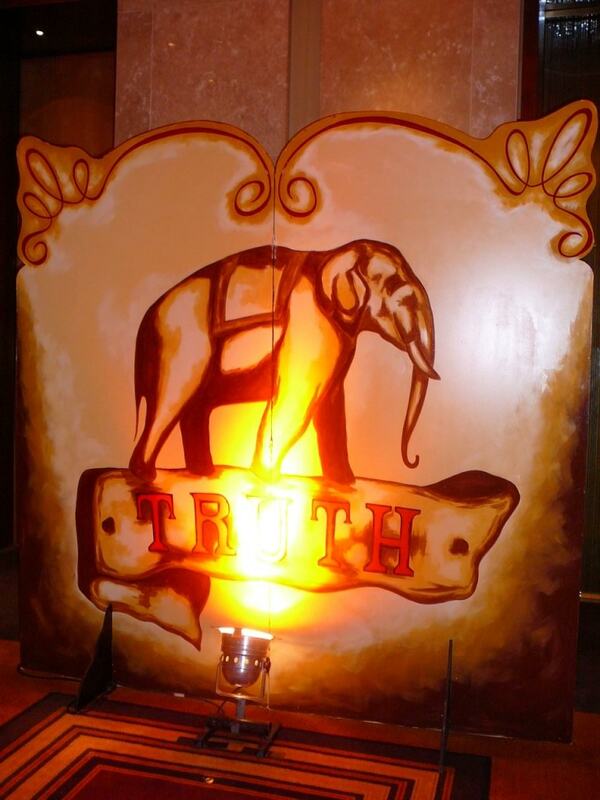 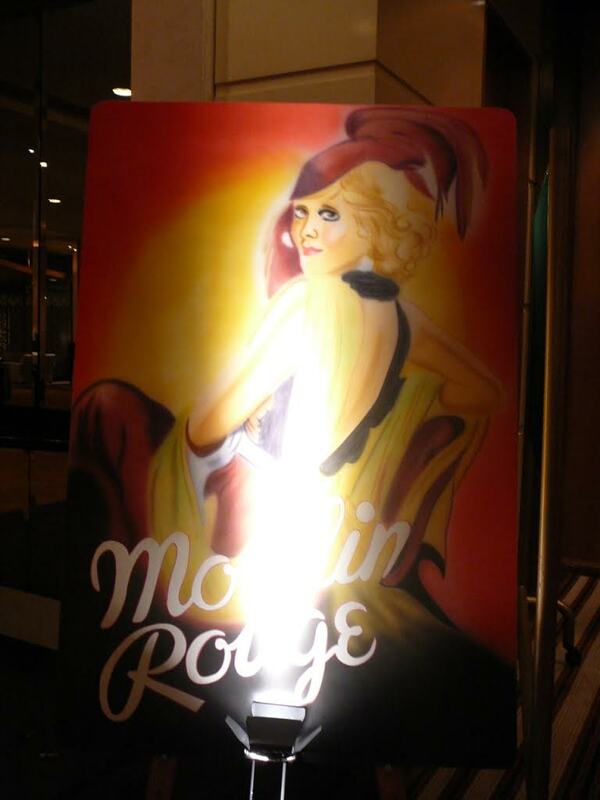 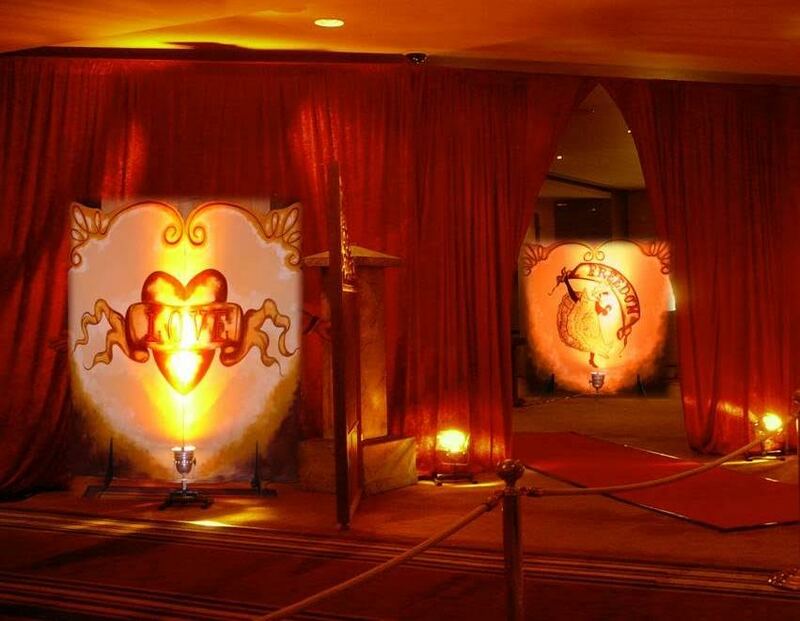 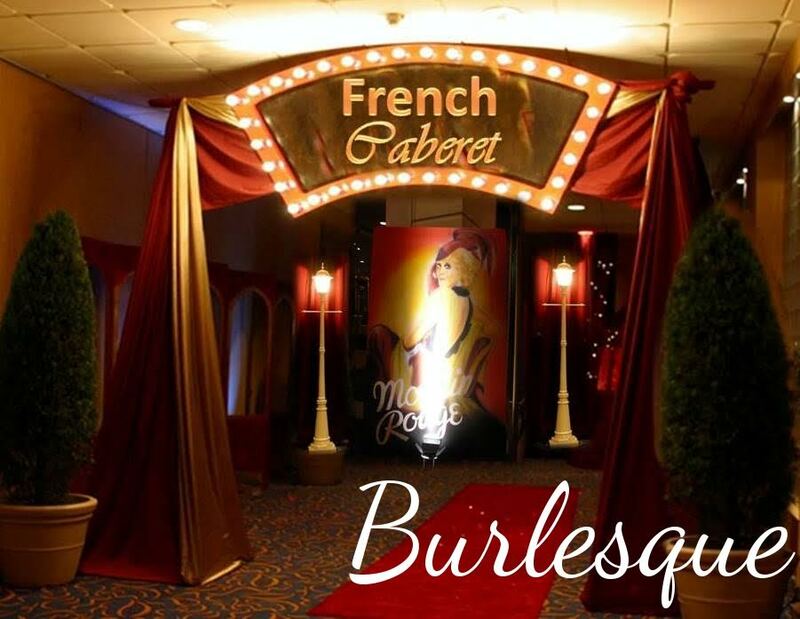 The true essence of Cabaret is captured with rich red velvet drapes on walls and hand painted posters that adorn the room and bring to life a Burlesque Moulin Rouge atmosphere. 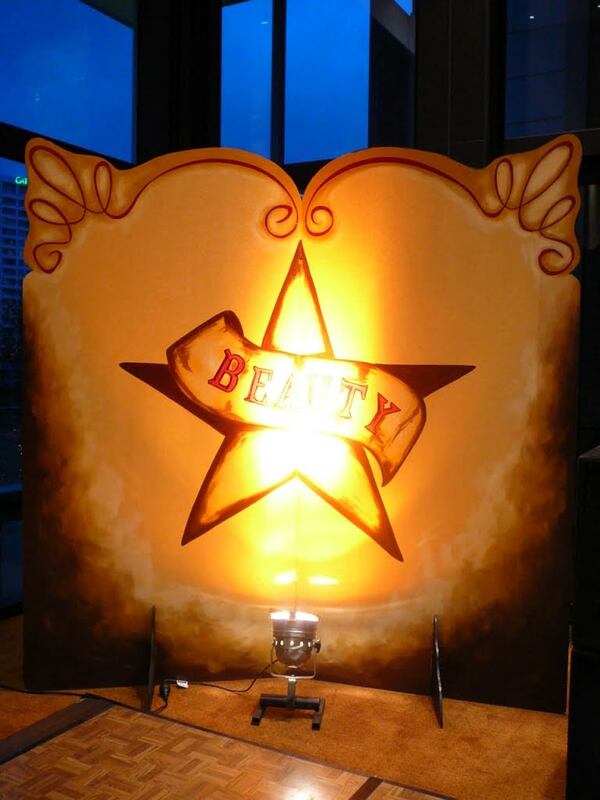 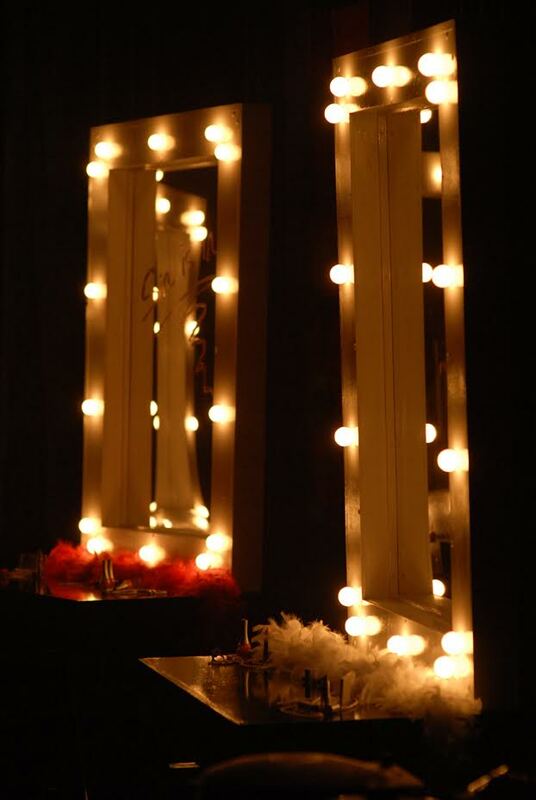 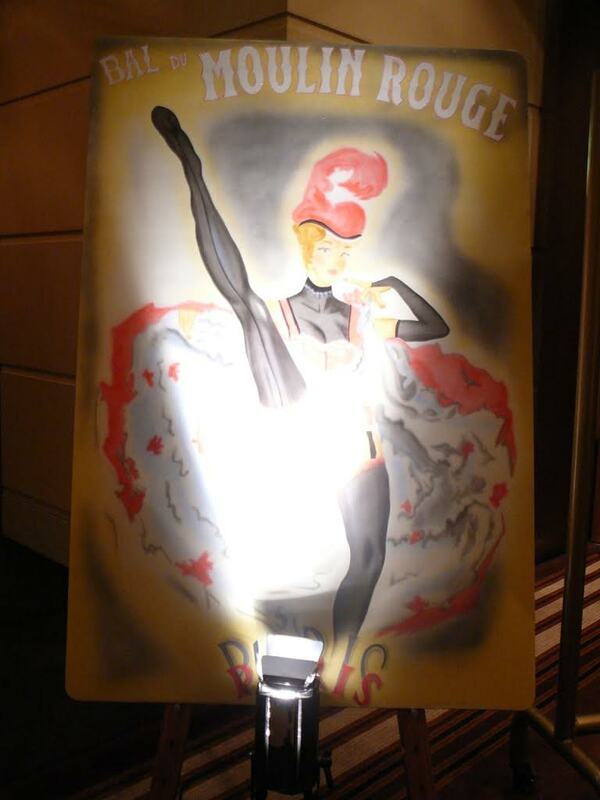 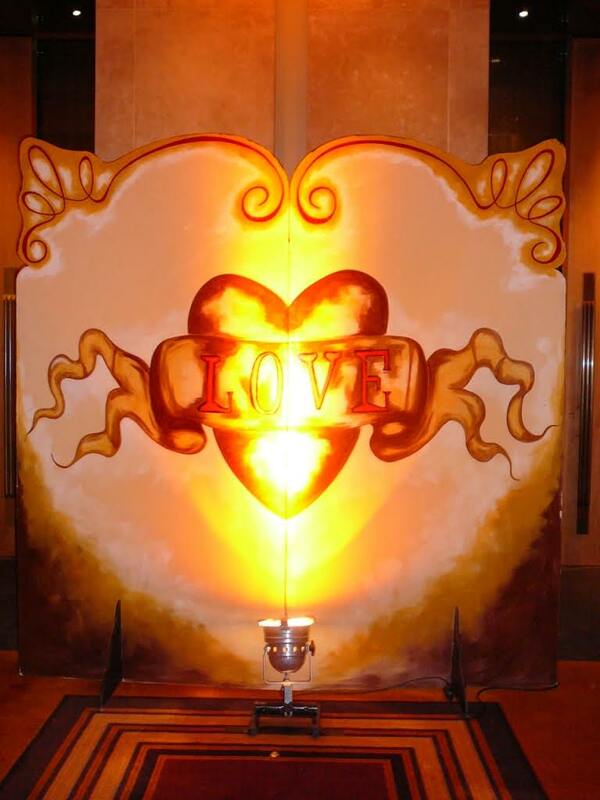 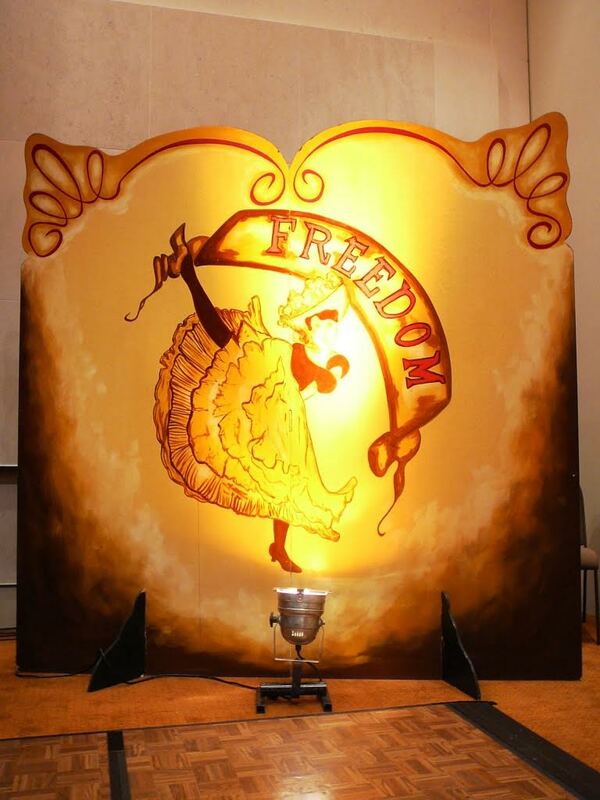 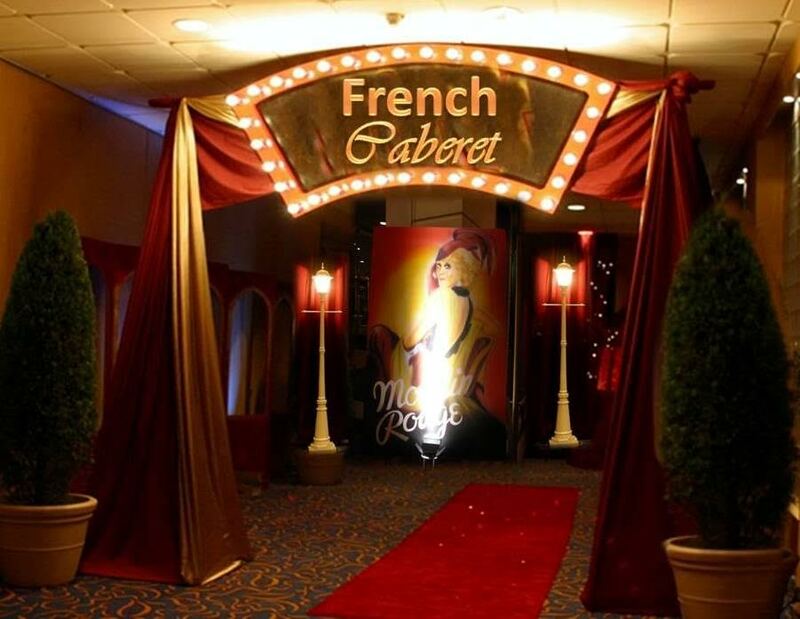 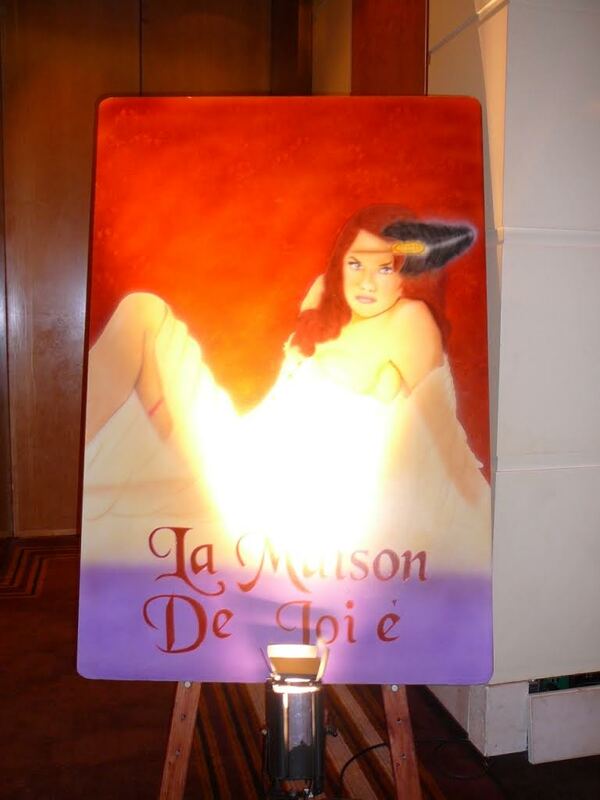 A Burlesque backdrop used up on a stage or on a large wall will draw guest’s attention whilst the Eiffel Tower and Windmill make a great photo opportunity and bring your theme to life. 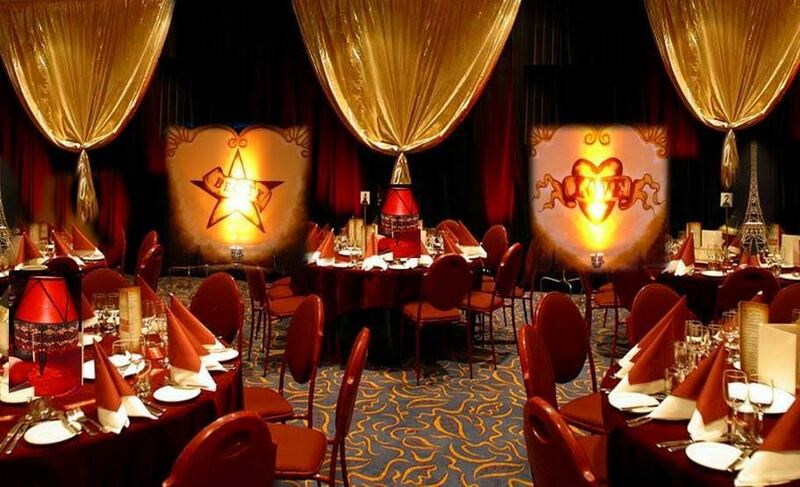 If table decor is required we suggest black table cloths, red table runners topped with our beaded lampshades to complete your theme.